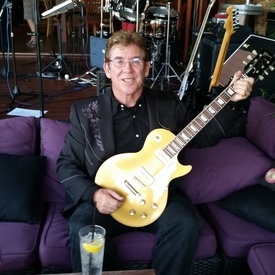 I have been a professional and semi-professional guitarist since the 1970's having played in Australia, The Netherlands and Belgium. My musical infuences include The Beatles, The Eagles, Dire Straits and Gary Moore. My main equipment comprises Fender Strat, Gibson Les Paul Standard, Ernie Ball Music Man guitars Vox Amplification, Line 6 and Boss effects. I presently play with the reformed 70's Band, Breakaway and original band the Mesa Band (www.mesaband.com.au). Whilst I am by no means a front line vocalist, I can and do sing and can harmonize very well. Having recently retired from full time "9am-5pm" employment I am seeking to spend more time with my passion, music. See more Perth Musician Available ads.